A great way to develop your student's analytical skills in a contemporary way. Activity one explore similes about love taken from 19 classic and contemporary songs including Alicia Keys, 50 cent and Beyonce. Activity two sees these similes grouped according to the imagery they create. Activity three has pupils making inferences on the similes and the effects. Activity four is a creative activity where pupils make a found poem from the imagery. 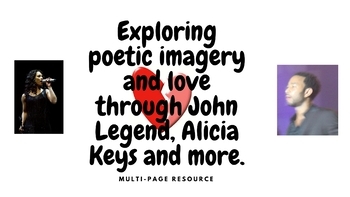 The second half of the resource focuses on All of Me by John Legend. There are five analytical questions about the language and structure of the lyrics. Finally, pupils transform the song into a letter. A great way to introduce love poetry or texts such as Romeo and Juliet or a fun way of exploring imagery and inferential skills. This kit contains 45 answer cards (with colorful pictures) and 45 question cards. 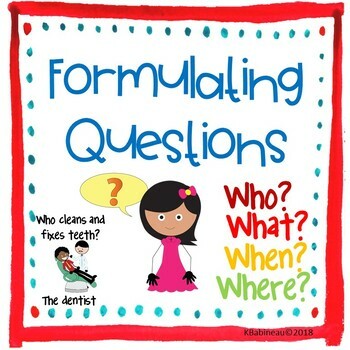 A mini poster with "Words that Begin Questions" is included, as well as an answer key. To prepare this product, simply print, cut apart and laminate the cards and you are ready to go. There are several ways to use this card set, detailed on the product's description, so check that out at the link, above, for more details on this terrific TpT item! Do you need a fun way for students to practice long division with minimal prep? The Long Division with One-Digit Divisors Scavenger Hunt Game gets students up and moving around while practicing math. In this activity, students use the answer to one problem to find another problem hanging around the classroom. Students will complete a total of 16 problems to create a list of explorers. The student worksheet, scavenger hunt problems, instructions, and teacher’s key are all included. This product is teacher tested and student approved; students will love seeing scavenger hunts on the agenda. All problems in the scavenger hunt have whole number solutions. 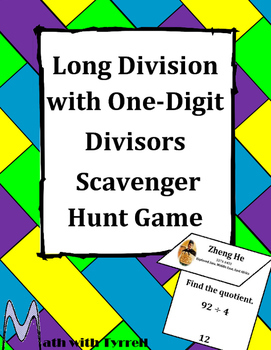 The problems in this scavenger hunt require students to divide with one-divisors as well as divide with two-, three-, four-, and five-digit dividends. Check out this fun, interactive color-by-number farm-themed coloring page. "The Owl" is a fun activity for grades K-2, and a great lesson before farm field trips. 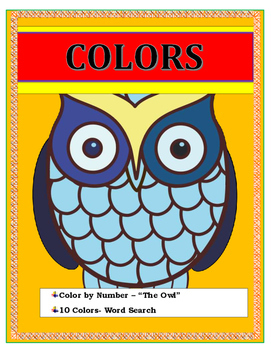 Students will enjoy completing the word search and practice the spelling of "colors." As a cooperative activity, you could even have students work in pairs to complete the fun word search! These are FREE samples from Miss Faleena's First Grade Morning Work Bundle. 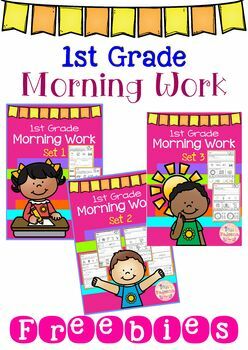 It includes 20 pages of morning work activities for literacy and math. These pages are great for advance kindergarten and first grade students. This morning work helps your students review important skills for first grader. Of course, if you like what you see - and I'm confident you will - you can find the link for the entire First Grade Morning Word Bundle in the product description for this pack of freebies!